T.G.I. 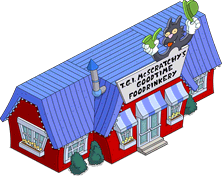 McScratchy's Goodtime Foodrinkery is a restaurant at the Itchy & Scratchy Land theme park. It is constantly New Year's Eve there. 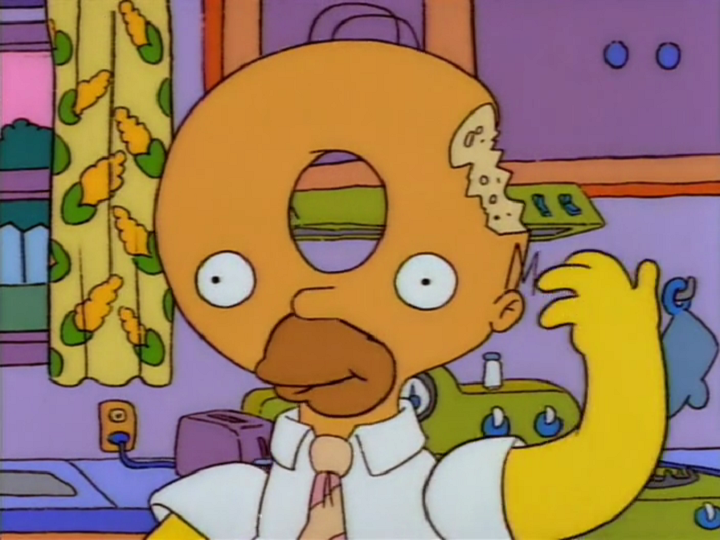 Homer and Marge celebrated the new year at T.G.I. 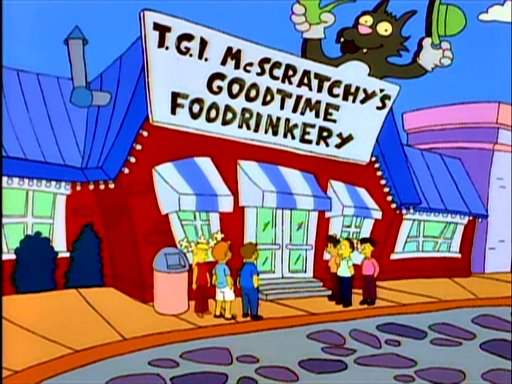 McScratchy's Goodtime Foodrinkery. Marge asked one of the waiters if it was wonderful to ring in the new year over and over and over. The waiter then asked her to kill him. Modified on July 11, 2018, at 08:49.